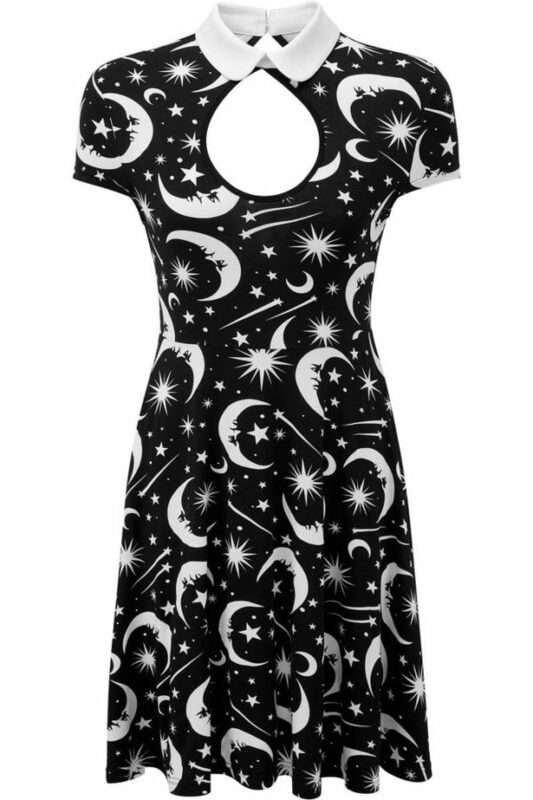 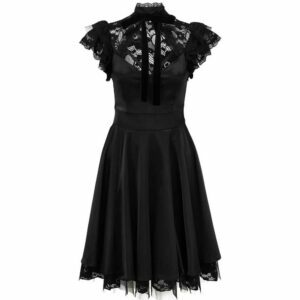 Be closer to the moon any hour of the day or night with the ‘Under The Stars’ skater dress. 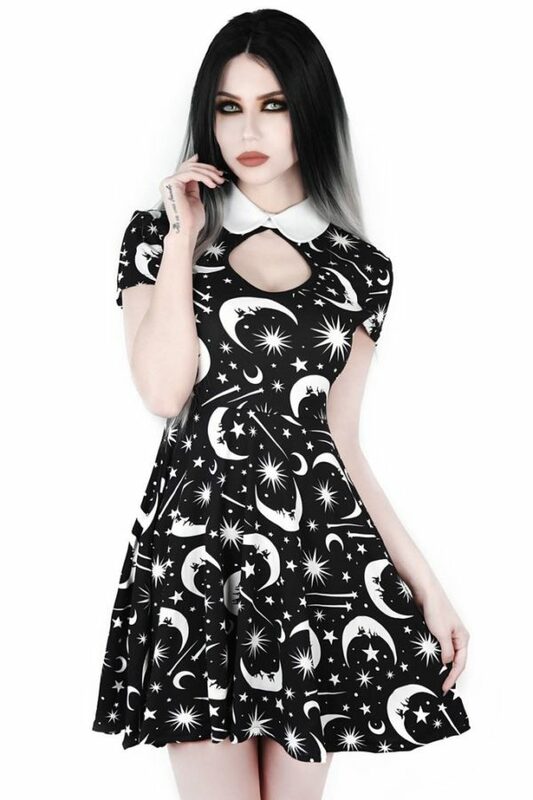 With a short collar with button back, keyhole chest, cap sleeves, and cutout back. 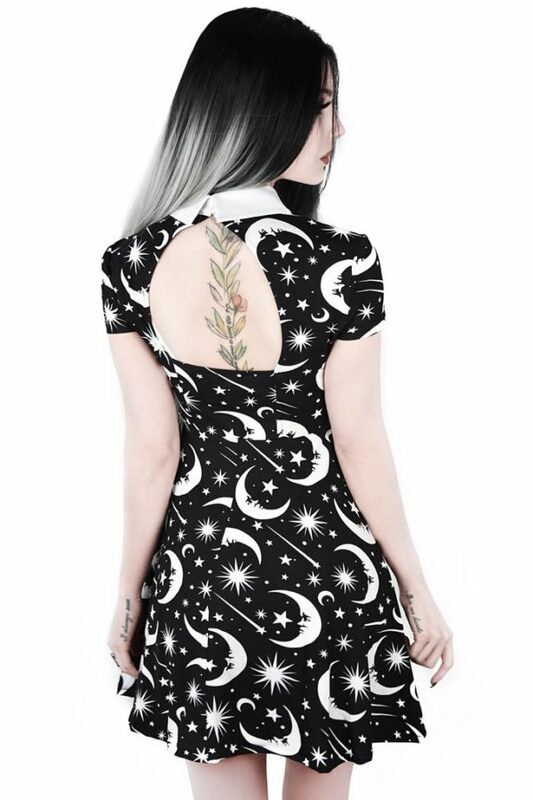 Adorned with a repeating print of moons and shooting stars.